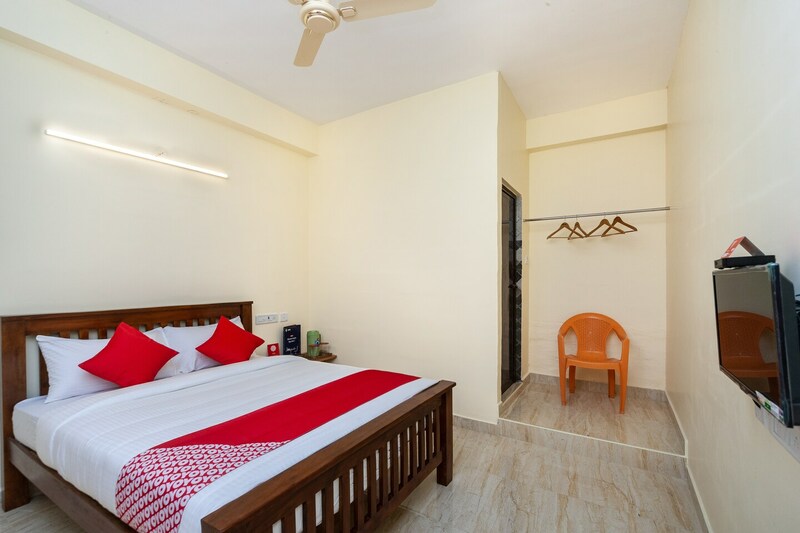 Vinayak Residency is a budget property with neat and bright interiors, situated near Rajas Garden, Gandhi Nagar, In Vanagram in Chennai. It is close to Porur Jain Temple, Kandasamy Nagar and Porur Park. The property has spacious rooms with white walls and ample lighting. The furniture is neat and modern. There are long balconies where guests can relax. The rooms here come with TV, AC, and the property also provides free Wi-Fi, power backup, parking, and CCTV security. The eateries in the close proximity of the property include Flavours - V7 Hotel, Murugan Idli Shop, High - Hotel V7, Waffles Thru The Day and Firangi Bake.